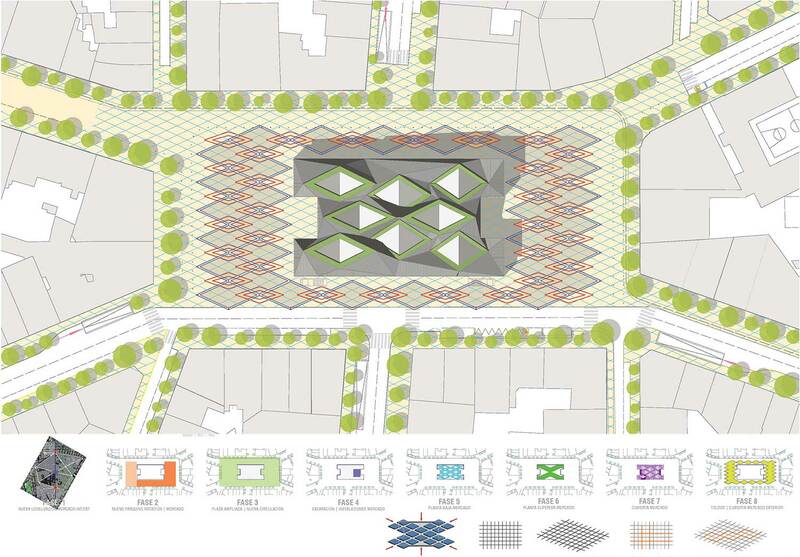 We perceive the proposal of a pedestrian axis as the revitalization of an existing axis which connects a succession of central nodes in the expansion of the city. The location of the Pere Grau market is surprising as it is in the centre of the square. It is clear that its location responds to the centrality that acts as a pivot to the crossing streets. It is this iconic visual reference within the neighbourhood where our project starts. The market remains a central point. 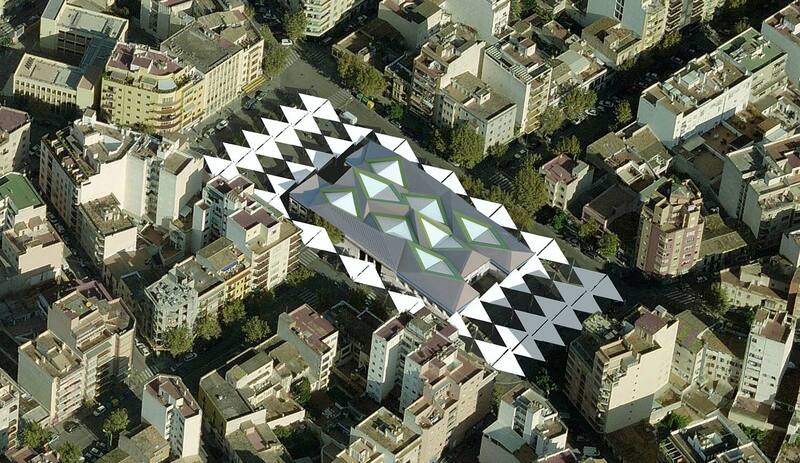 The project aims to complement the market and reflect its identity as a point of reference. Therefore, the project retains the current building, but uses the required extension to characterize it. 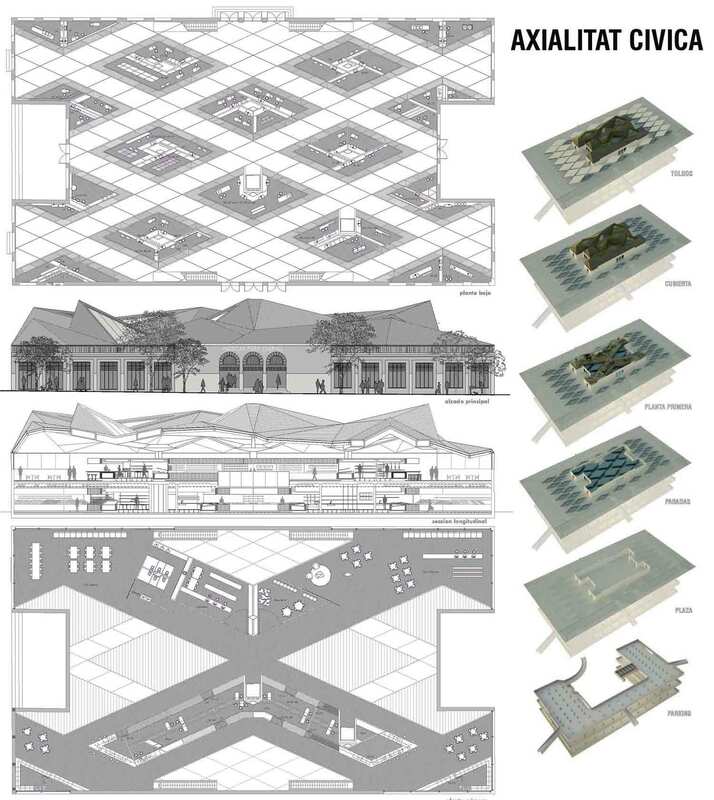 In order to establish the form of the structure, we have to understand the position of the building within its urban centrality - a complex structure based on two Cartesian axis.